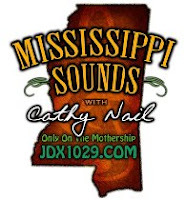 Radio London's very own Jeff Lewis will be my guest today on Mississippi Sounds at 4pm CST on JDX1029 'Revisited' with info on the reunion at Hal and Mals, June 19th and lots of music and Lawrd knows what else. Tune in and be prepared.... Shake,...rattle and yes, Roll, Mississippi!"